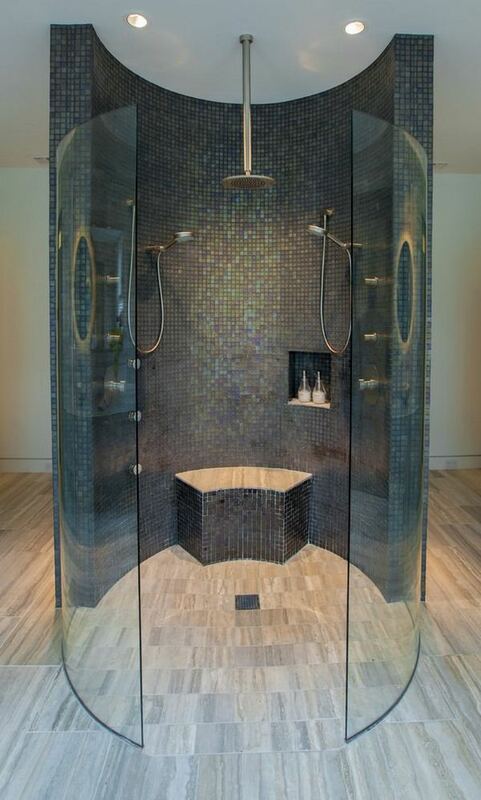 Walk in showers come in a variety of designs and types. By definition, a walk in shower is an upright enclosure separated from the rest of the room by either a door or a shower curtain. 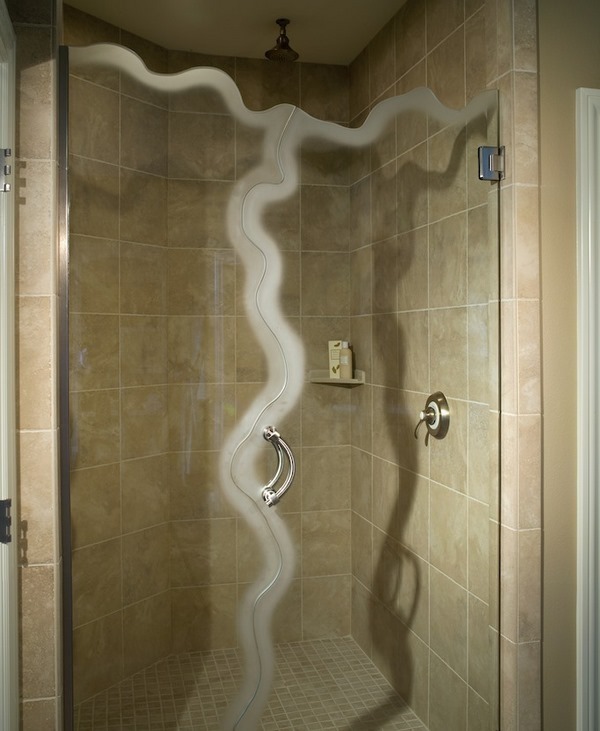 The doors may vary significantly – from single to double, opening out, sliding or on a track to various shower screens. Shower enclosures differ in size as well – from small units or corner shower cabins to large areas with a bench, shelving and other accessories. 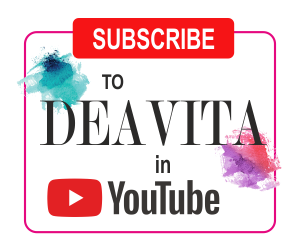 We shall look at the different types of walk in showers and see the different materials, the advantages and disadvantages of each type and of course, give you useful ideas for the shower enclosures in large and small bathrooms. What are the benefits of walk in showers? Walk in showers enjoy a great popularity and for a good number of reasons. In addition to their versatility and sleek appearance, they offer many benefits. 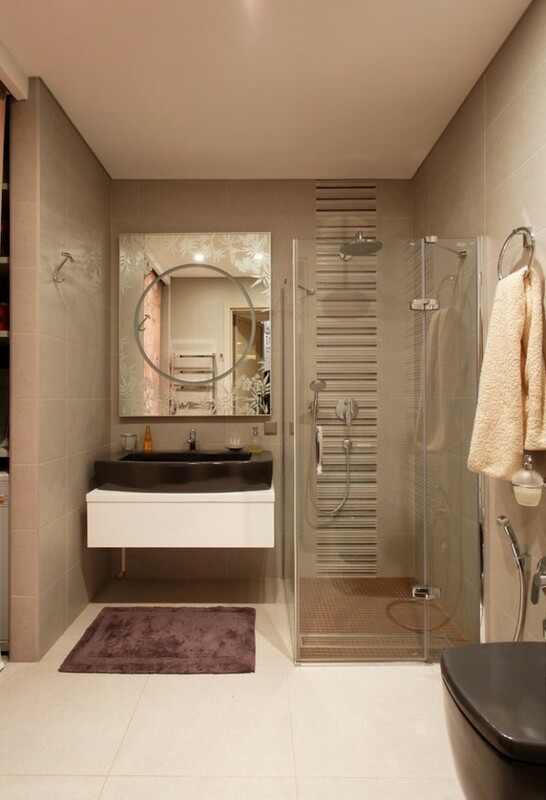 Let’s look at the most important advantages of these modern shower enclosures. Safety is one of the most important advantages. They are safe and easier to use than tubs and the risk of slips and falls is far less which is of great importance for families with small children as well as elderly people. Accessibility is another great benefit as these showers are wheel wheelchair-accessible. 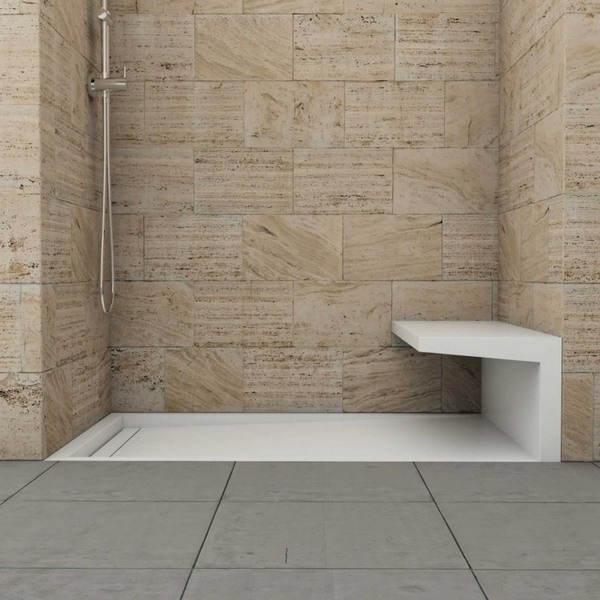 This is the perfect solution for disabled people providing a comfortable access the shower. Durability is of great importance and this type of showers offer a long lifespan due to the fact that they are able to withstand the daily wear and tear for years. When installed and maintained properly, a walk in shower will look good for a very long time. 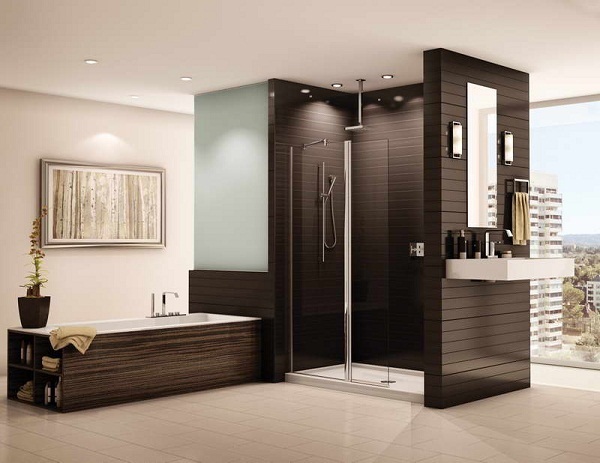 Utilizing the available space – the limited space is a serious concern of many homeowners and walk-in showers provide the opportunity to maximize and optimize small spaces. They can be fitted in the smallest of bathrooms or in a corner. Attractive design and appearance – walk in showers are versatile and you can choose a design that works with the décor of the bathroom and customize the look so that it meets your personal taste and preferences. 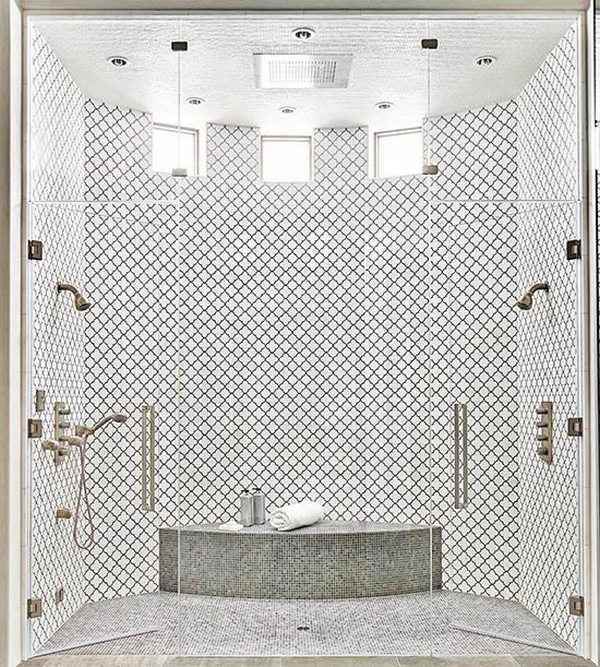 Whether you prefer to blend the shower area or create a visual contrast with tiles in a different color and turn it into a spectacular feature, the design options are unlimited. 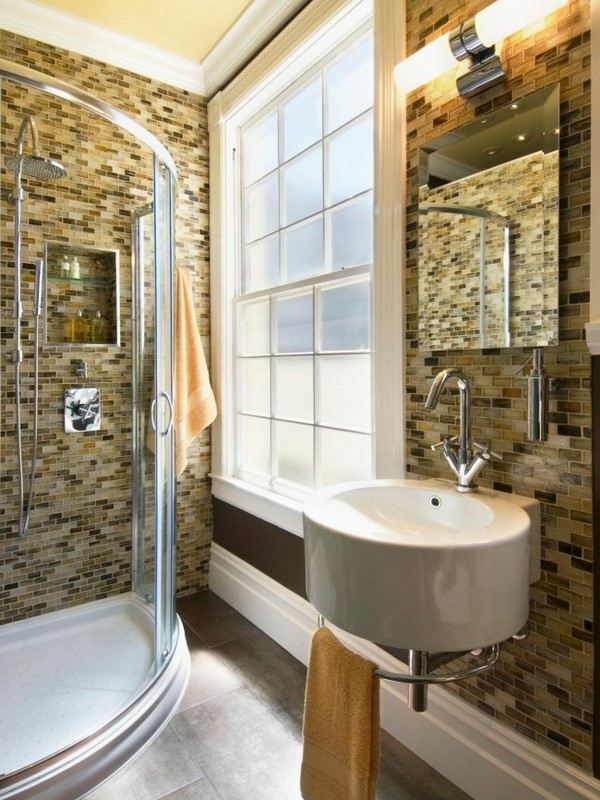 In addition to the great visual appeal these showers make the room look more airy and bright. Maintenance and cleaning of walk in shower are generally easier. On the first place you have more space to move which makes regular cleaning easier. In addition, they do not need many fixtures and repairing which means less money on maintenance. Added value to your home – this is another consideration to keep in mind when you plan a bathroom renovation. Walk in showers are a great addition to any home providing a modern and stylish look and a trendy atmosphere and you will increase the overall value of your property. 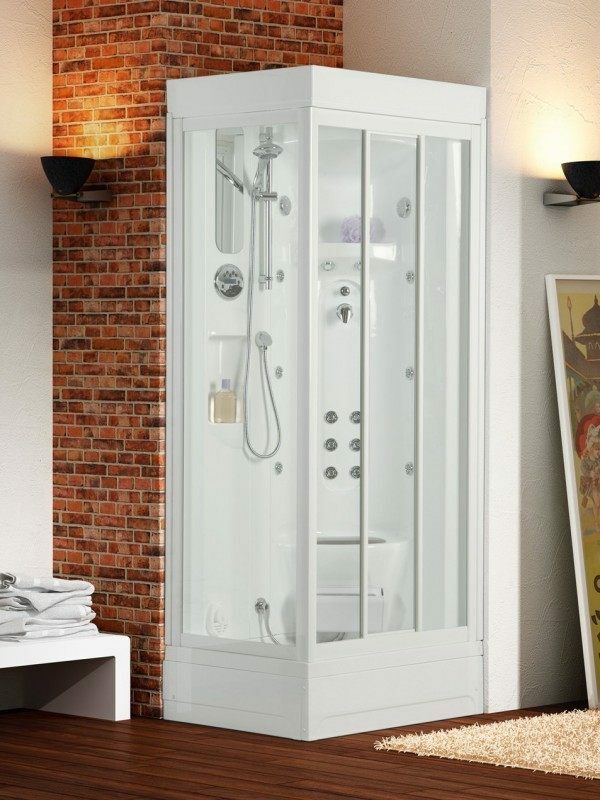 Nowadays shower cabins are among the most sought after types of walk in showers and come in a huge variety and the modern market offers numerous options to choose from. The main function of all shower cabins is to offer a space (often limited) for showering and optionally for other water procedures. They can be divided into two large groups – open and closed. 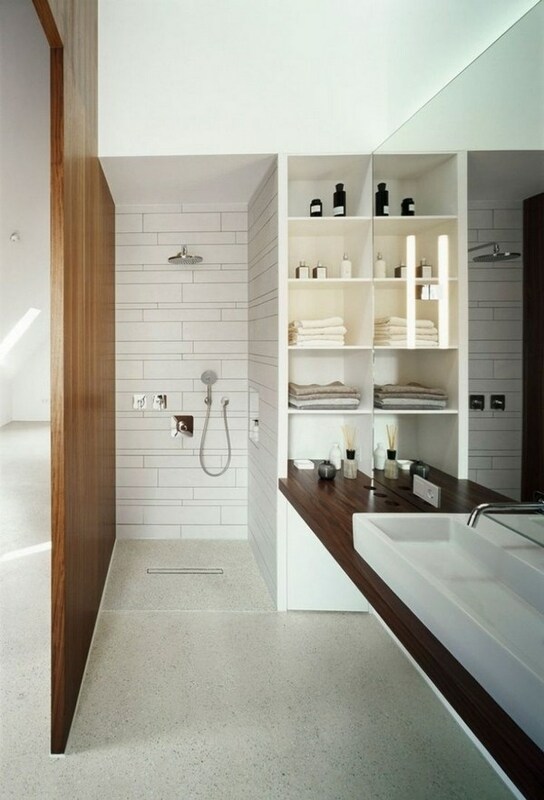 Open walk in shower cabins are the ones that do not have a ceiling and the space is defined by only four sides. Usually, two or three of the sides are actually the bathroom walls and the others – the walls of the cabin. Most often this type of showers is installed in niches or corners and this is a simple, elegant and relatively cheap option. This type of shower enclosures may have a tray as well. 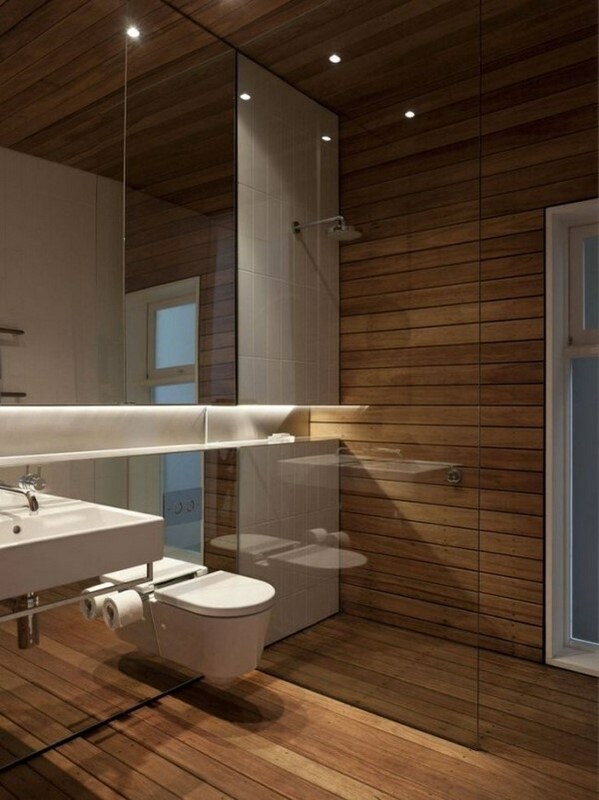 It is a good choice when you want a minimalist contemporary design to your bathroom and maximize the available space. The market offers numerous options with different look which will suit every taste, bathroom layout and design. One of the major advantages of open walk in showers is that they are a space saving option which can add space visually to the bathroom and make it look larger due to the fact that you can install them directly on the bathroom floor. On the downside of this type of showers is the fact that many people feel exposed and unprotected due to the lack of a physical barrier between the shower and the rest of the bathroom. Another disadvantage of open showers is the fact that due to the lack of ceiling it is impossible to have additional features like steam bath or aromatherapy. Closed walk in shower enclosures, also called shower boxes. They are closed by walls and have a ceiling. Closed shower cabins can be installed in large or small bathrooms and come in numerous designs, shapes – round, semi-round, square, rectangular and corner shaped, sizes and they may have additional features which makes them multifunctional. You could choose a multifunctional shower cabin with horizontal or vertical (or both) hydro massage nozzles, a steam generator, aromatherapy or tropical rain feature, radio system, side or upper lighting, mirror, seat, hand rail, shelves for cosmetics, etc. Obviously the more additional features, the bigger the price, but the budget is something individual so each homeowner could choose whether to have or not extra functions. 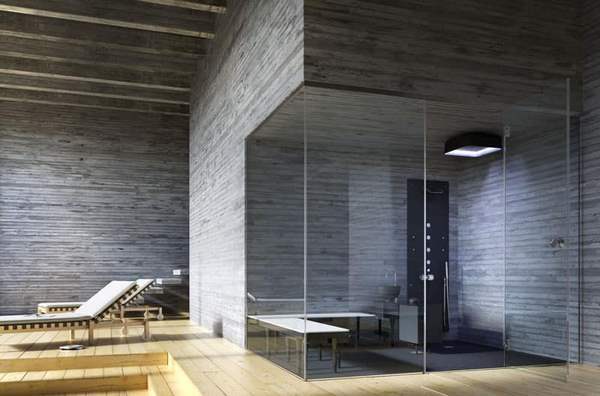 Those who consider a multifunctional shower cabin as a part of their bathroom renovation should be aware that it consumes quite a lot of power and it is necessary to have a separate power line. 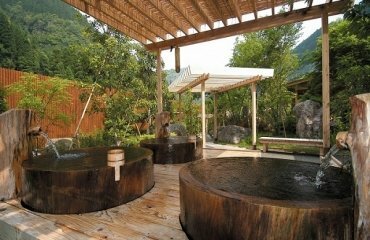 Hydromassage and steam bath features require adequate water pressure or they will not function properly. 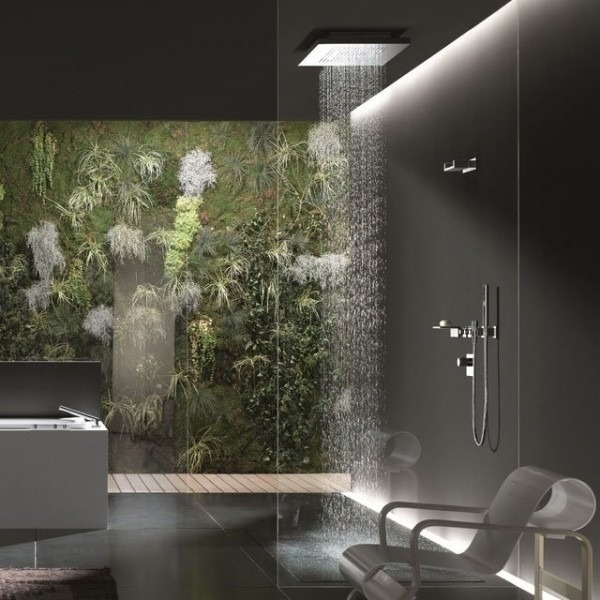 When we discuss walk in showers and modern bathroom design we have to look at the different options which will give your space a sleek and stylish appearance. Some people opt for doorless showers while others prefer curbless showers, glass shower partitions or frameless shower doors – there are many styles and cool ideas which can work for your bathroom. Doorless walk in showers are in the group of open showers and are an excellent solution for both large and small bathrooms. The lack of door, door swings and frames saves space and each design can be customized to fit into the available space. 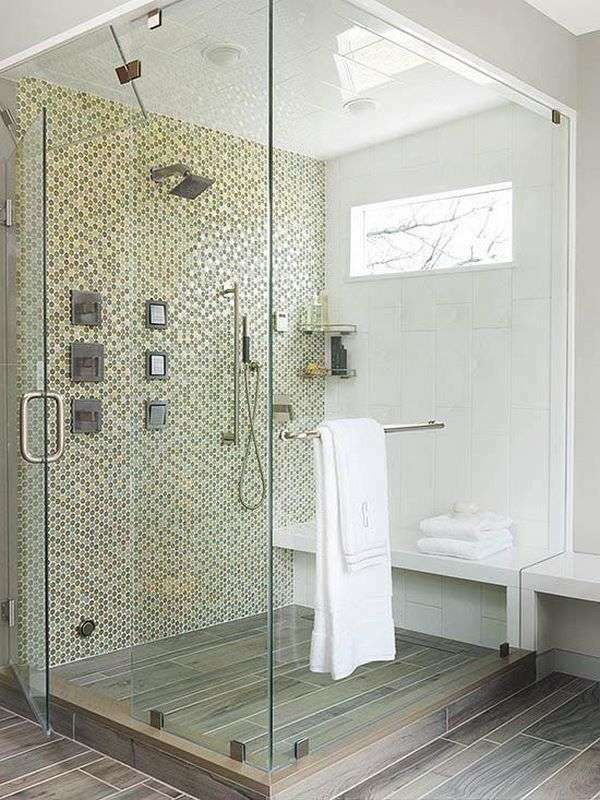 Doorless showers come in a variety of designs – they can be designed as a part of the bathroom interior or separated from the rest of the space with a partition wall, half wall, glass shower screen, glass tiles, etc. Most designs are without a shower tray but those who prefer to have a tray will find many options on the market. A threshold is another option and the height may vary from zero to three or four inches. 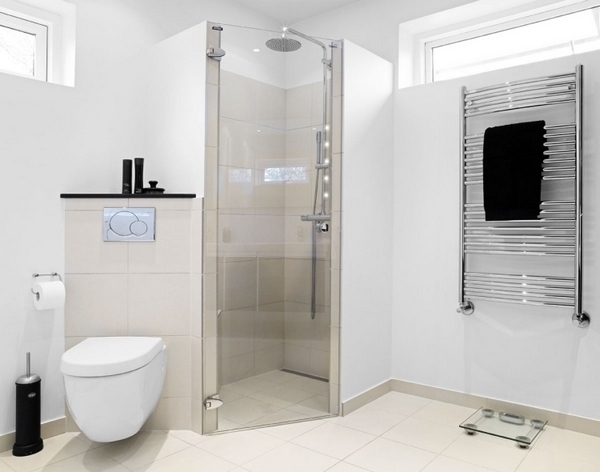 Doorless showers offer the most important advantages of open showers – accessibility, safety and easy maintenance. They require minimal care and are easy to keep clean. In addition, homeowners can place the showerheads in accordance with their preferences – overhead ceiling mounted showerheads are a hit, but there are other options like a wall mounted shower head or an adjustable handheld shower. As far as ventilation is concerned a bathroom fan (with a humidity censor) is a good option, but generally doorless showers do not require special ventilation. Unless you have extensive knowledge on plumbing, electricity supply, layout and many other structural issues, it is best not to opt for a DIY walk in shower project but hire professionals. 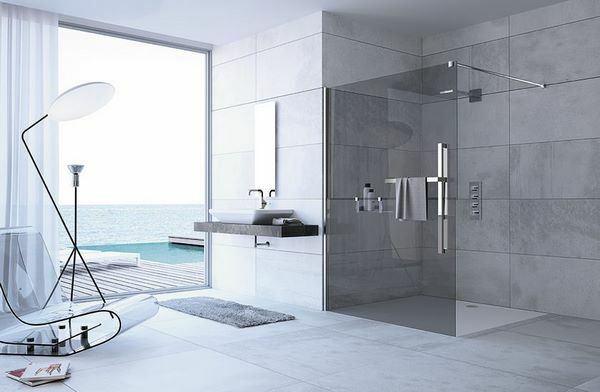 Curbless walk in showers, also known as stepless showers or barrier-free showers, are another trendy design which enjoys a growing popularity. Curbless showers are especially functional, accessible, easy to maintain and offer many design options which will transform any bathroom. Those who have not heard of this type of showers would recognize them instantly as these showers do not have a threshold. 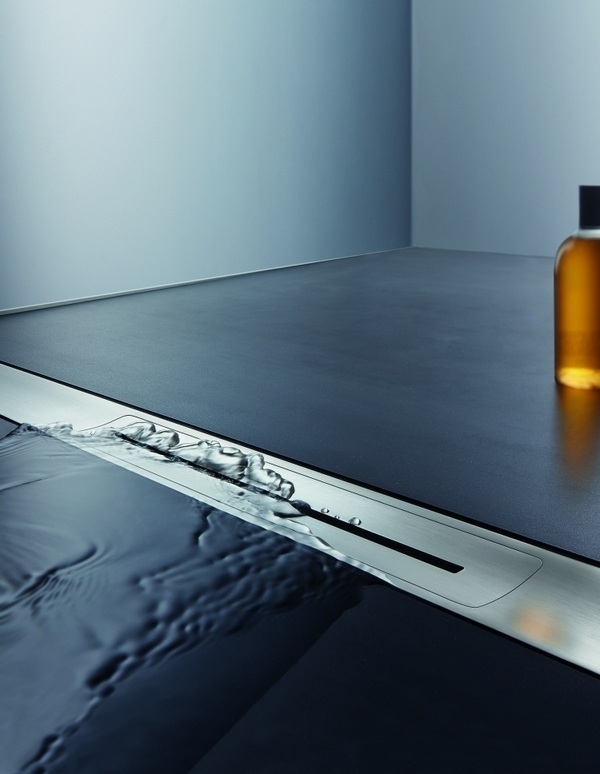 Optionally they may have a glass shower screen, frameless doors and can be designed with a standard or linear drainage. Most homeowners have serious concerns how they will keep the water from escaping from the shower area which makes them cautious about curbless showers. 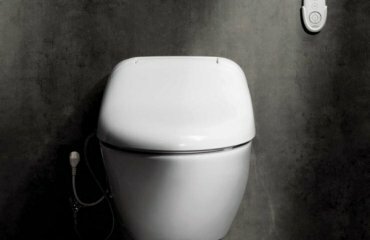 What are the benefits of losing the curb in the bathroom? On the first place, this type of shower will add to the modern appearance of the bathroom and will give it cleaner lines and a seamless look. With or without a glass screen or doors, the curbless shower makes a small bathroom appear larger and does not block the light and in addition, you optimize the available space to the maximum which is essential for small bathroom designs. On the downside of these walk in showers is the lack of privacy since most designs feature an open shower. Of course, a simple shower curtain can solve the problem without any additional costs and efforts. Another drawback of curbless showers with open design is that the heat escapes easily which means that you may want to consider a floor heating as an option. Walk in shower enclosures, whether open or closed, with transparent glass partitions and doors look especially attractive in the bathroom. 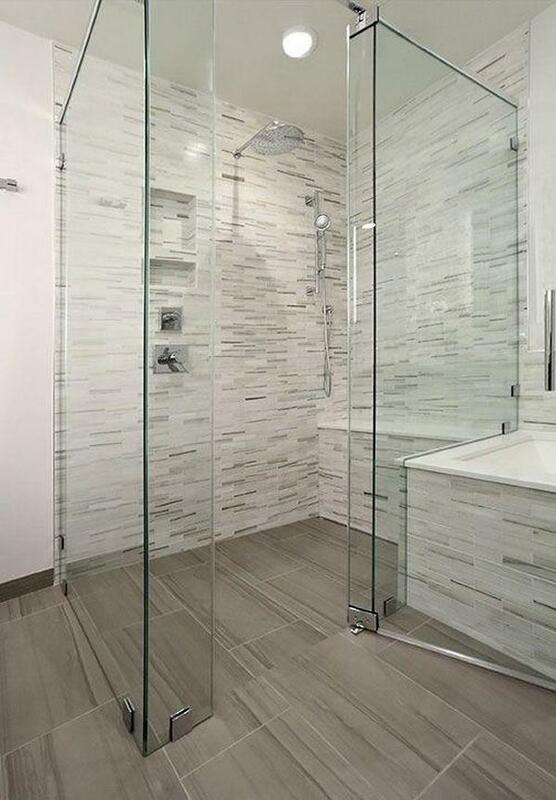 The main purpose of glass shower partitions, shower screens and doors is to protect the surrounding area from moisture and steam. Their quality is essential for your comfortable bathing experience, the attractive appearance of the bathroom interior, even for your safety. 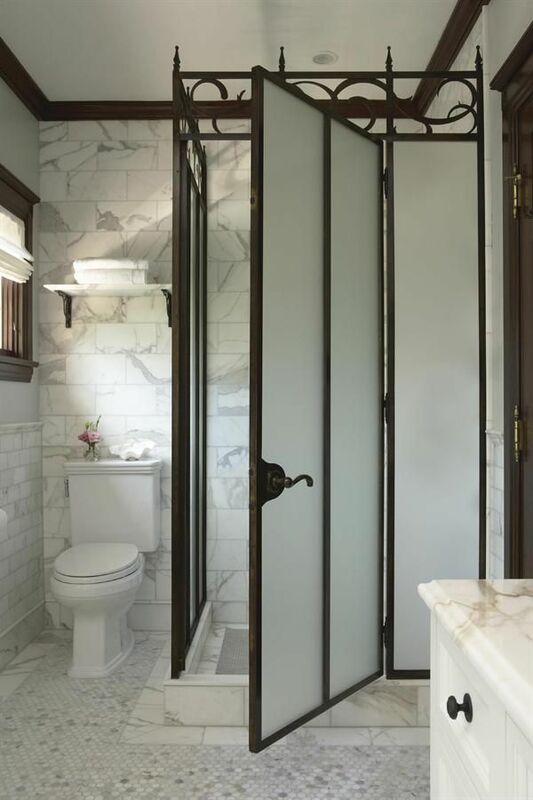 Keep in mind that in bathrooms it is best to choose door frames made of aluminum or steel alloys, as other metals quickly deteriorate in damp area. 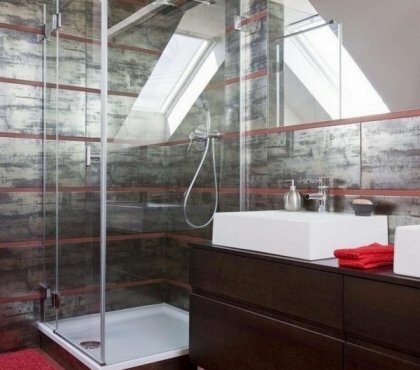 Glass shower screens or partitions, if you prefer, are the best solution when it comes to space saving ideas. 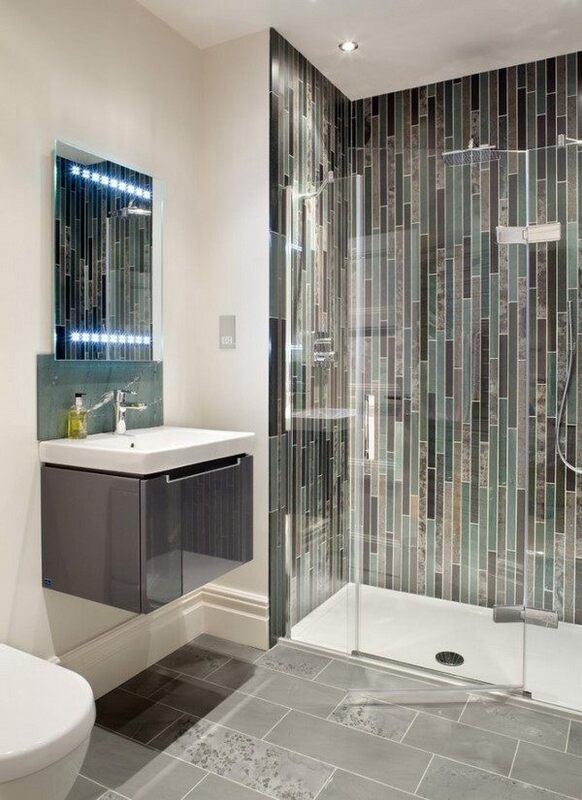 Shower screens made of glass serve as an aesthetically attractive glass curtain, which allows us not to flood the floor with water, and fit perfectly into any modern interior. They are usually made of tempered glass which makes them very durable and difficult to break. 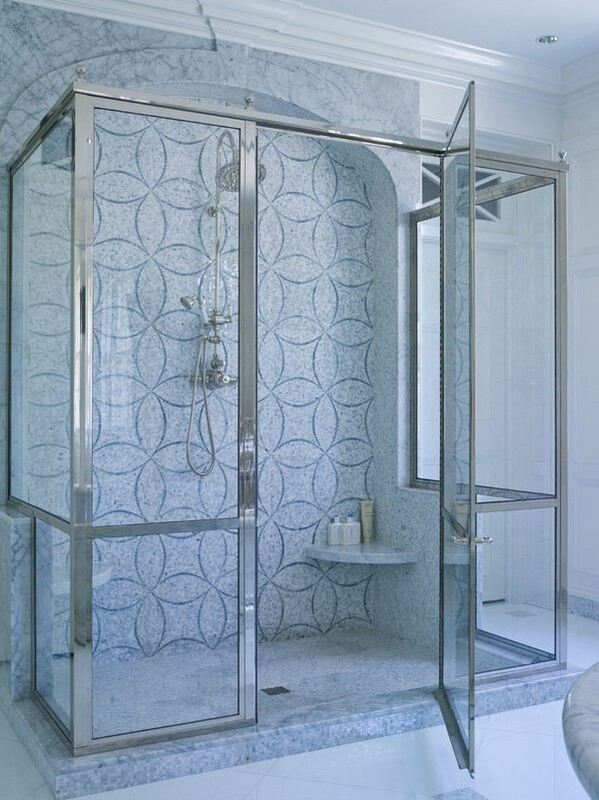 Glass shower screens can be used for curbless showers, doorless showers or any other type of walk in shower enclosure. 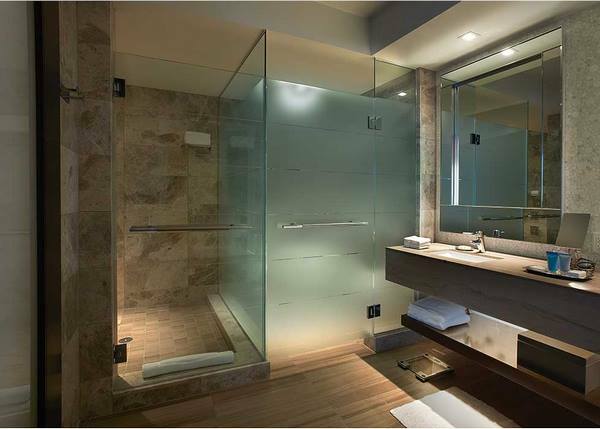 Glass shower doors help to increase the visual volume of a small bathroom, decorate it and make it original and modern. In addition, glass does not deteriorate from moisture and high temperatures, retains its aesthetic appeal, it is easy to clean and maintain. Glass shower doors vary in design, type of opening, thickness, so before you buy or order glass doors for your shower it is necessary to take into consideration all these factors as well as your personal taste. One of the great advantages of glass shower doors is that they perfectly fit into any style of interior and can be used in rustic, traditional, modern, minimalist and many other design concepts. However, you need to choose the type of opening suitable for your bathroom. 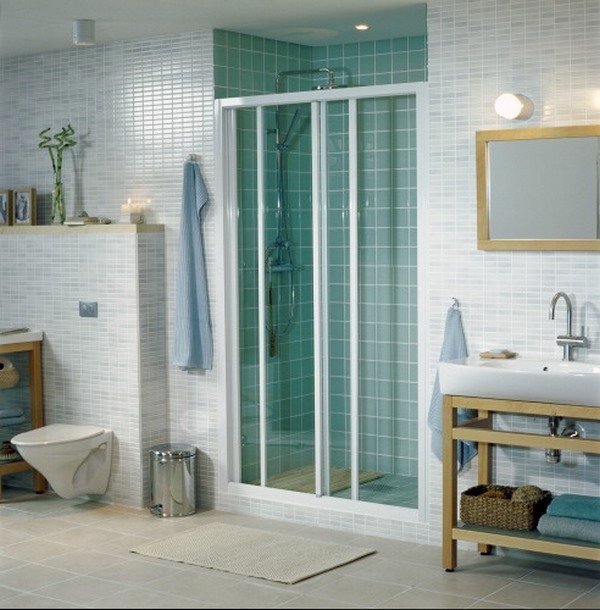 Sliding doors are a space saving option and a good choice for large and small bathrooms. 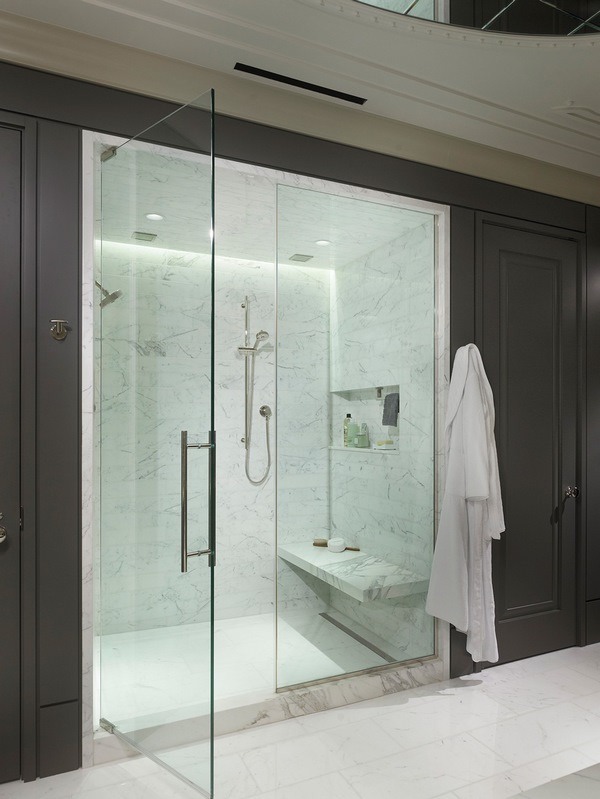 Corner shower doors are usually a pair of sliding doors and a good option for walk in showers located in a corner when you want to separate the showering area from the rest of the bathroom. 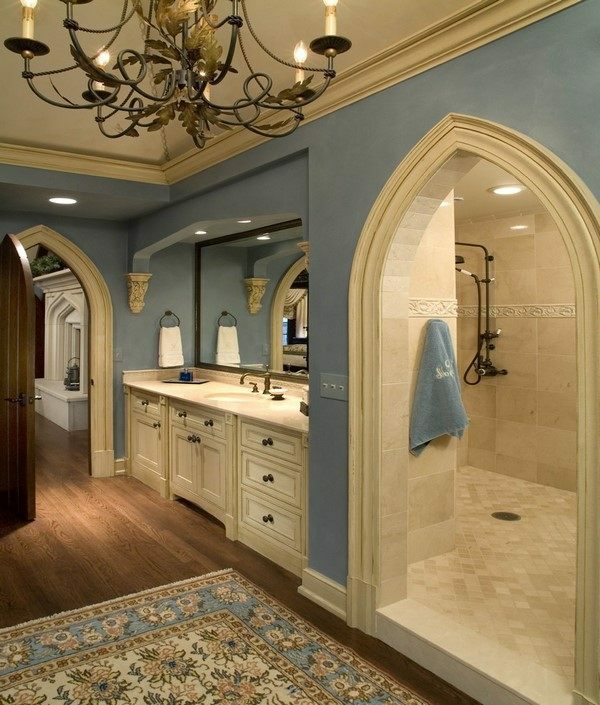 Hinged doors are a good option for walk in showers located in a niche. The opening mechanism is the same as on any interior or exterior doors – it is fixed to the wall and the door swings open. These doors are not expensive, but they require space for the opening when opening outwards. Pivot shower doors are often confused with hinged doors as they look pretty much alike. The difference between pivot and hinged doors is that a pivot door does not have the hinges fixed to the wall. It’s hinges at fixed at the top and bottom of the door which means that they require less space for opening and can open inward or outward. Bifold doors are another option which can be used. The glass is framed in metal profile and this type of doors is especially suitable for interiors in Japanese style. This type of is a very good choice for small bathrooms and showering areas. Glass shower doors come in three varieties – framed, frameless or semi-framed. Aluminum and stainless steel are the most popular frame options for their water resistance properties and sleek appearance. Semi framed glass doors usually have metal profiles on the sides, but not on the top and the bottom. 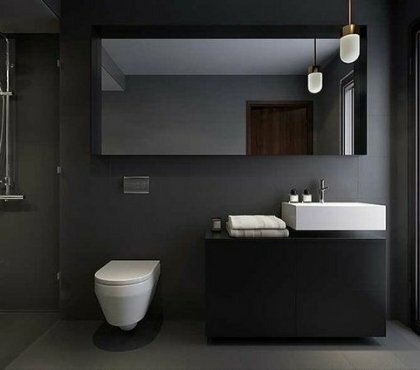 They have a more minimalistic look and are a good choice for contemporary bathroom designs. Frameless glass shower doors do not have any frames at all and offer the most modern appearance. 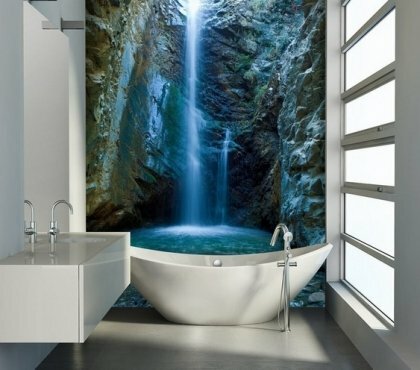 They give the bathroom interior an exclusively high end look and a sense of elegance and sophistication. Not everyone is lucky to have a spacious bathroom where planning the layout is a pleasure and not a challenge. 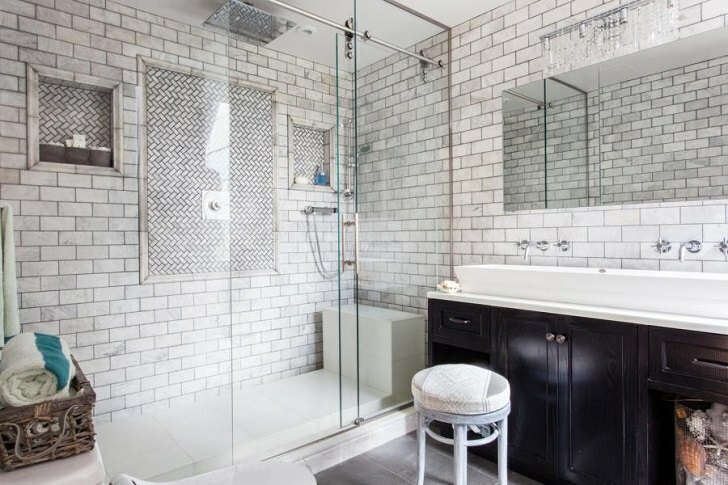 However, walk in showers have their special place in the design of small bathrooms and we have selected some of the most striking ideas in the gallery below. You can design a small bathroom with a walk in shower by yourself as long as you follow the basic rules for choosing and installing the enclosure in a limited space. The first thing that you need to do is to determine the exact location and the type of your walk in shower. Make sure that the place is next to all necessary communications – sewerage, ventilation and running water, electrical socket, etc. In a small room it is unwise to install bulky structures along the walls. It will be better (and space saving) if you place the walk in shower in one of the corners. 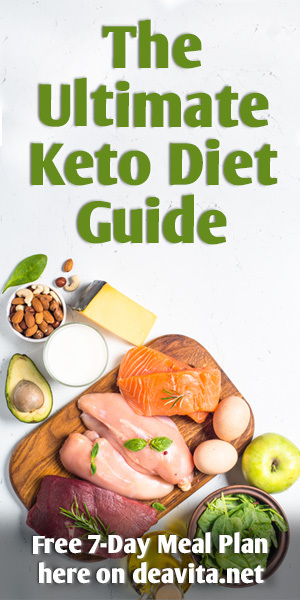 Make sure that you will have a convenient access and your shower area does not block the access or the free use of other equipment installed in the room – toilet, vanity cabinet, sink, etc. Functionality is a prime concern when you design a small bathroom and want to fit a walk in shower in it, but you need to think of visual aesthetics as well. Choose light colors as they expand the space visually. 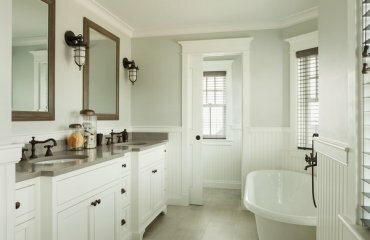 For example, an excellent solution will be a combination of pink with olive or pastel lilac color, white with light green and gray, earthy neutrals are also a good choice for a bathroom color scheme. Choose a light color for the ceiling as well as this will make the room look higher. 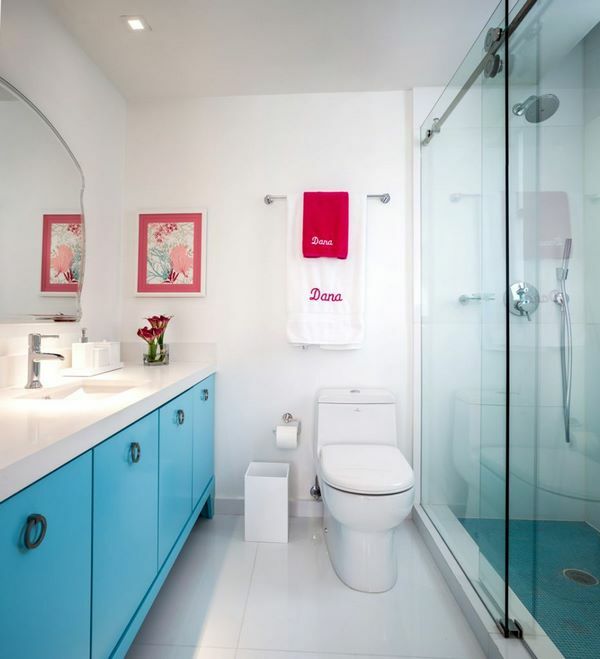 Of course, you need to keep to the rule not to combine more than three tones colors, especially in a small bathroom. 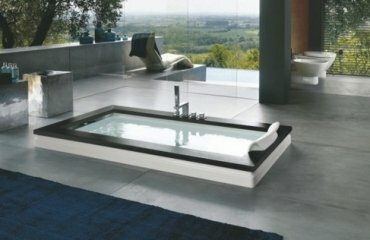 Look at these unique walk in shower ideas that we selected for you and find the one that you like best!